In the chiropractic industry, sometimes practices struggle to effectively communicate with patients, leading to misunderstandings when it comes to patient care. Communication breakdowns can be frustrating and can damage the doctor-patient relationship. 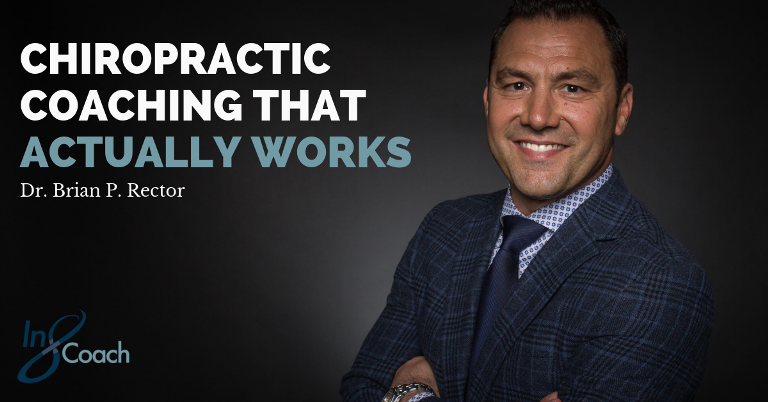 That’s why in both my practice and chiropractic training I believe in taking a holistic approach to serving my patients and focusing on their goals and needs. The goal of chiropractic is to identify the underlying cause of the pain that patients are experiencing and to make corrections that enable them to live a better life. But for so many practices, the quick fix approach has become the standard. At In8Coach, I want your practice to thrive and your patients to feel the life-long benefits of true corrections. In8Coach guides chiropractors through the process of developing a RAPPORT-based practice. This means your ability to build strong relationships with your patients will determine the long-term success of your practice. RAPPORT stands for relationships, awareness, purpose, perception, opportunity, respect, and trust. Think of each word in the acronym as a different virtue for you to implement into your practice. If you hold true to these virtues, your practice and you patients will thrive. We explain these very virtues and provide you step-by-step tools to integrate into your practice. Our 7-week course breaks down strategies that emphasize how to best communicate with your patients. You’ll be able to identify their symptoms and develop a plan to restore them to optimal health and improve quality of life. Each week there will be 30-minutes of instruction followed by 30 minutes of Q&A. How can you be sure that these strategies are exactly what you need for your chiropractic business to take off? The doctors who have used these RAPPORT strategies have seen a 30 percent increase in revenue over a four-month period. By building relationships with your patients, you develop a foundation of trust that has a profound impact on your overall success. Sign up for my RAPPORT-based Practice Webinar Series today!